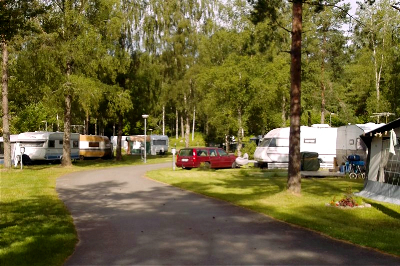 The campsite is situated in an area of pine forest and offers 130 generous pitches with natural boundaries. All the pitches have electricity. 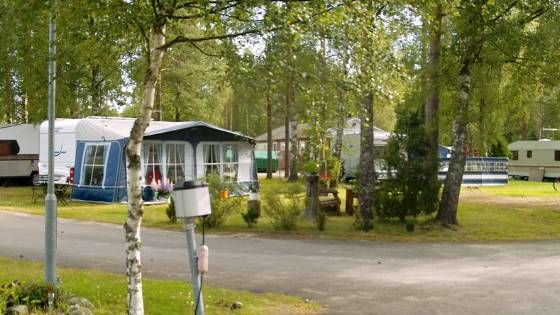 If you are looking for peace and quiet in the countryside, you have come to the right place. 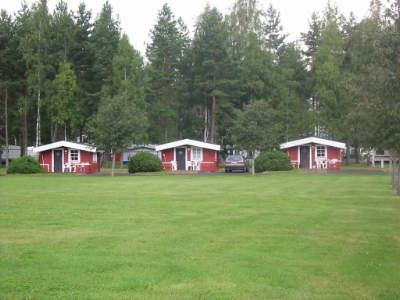 There are two newly service buildings on the site, one of which is with a sauna. There is also a spa tub for hire. The shop and restaurant are open seven days a week. Good conference facilities at reasonable prices. 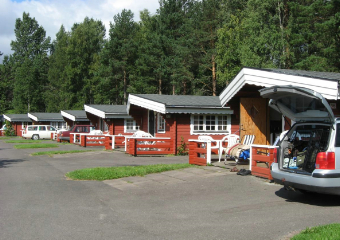 Nordic Camping Hökensås is next to Hökensås Nature Reserve with its unusual landscape that is reminiscent of the Norrland pine moors. 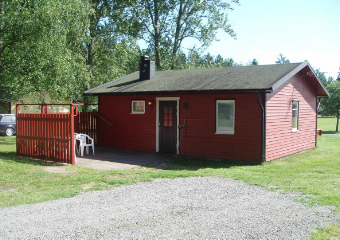 Hökensås is famous for its rainbow and salmon trout fishing in some thirty lakes and meres among moss-clad hills and ridges. From Midsummer until mid-August, guided fishing trips are arranged twice a week. The best fishing is in the spring and autumn, however, when the water is not so warm. When the ice forms on the lakes, jigging is very popular. Rowing boats can be hired on some of the lakes. 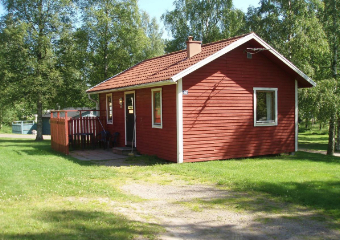 Fishing licences can be bought at the camp site, where the anglers' shop Hökensås Sportfiske is based. 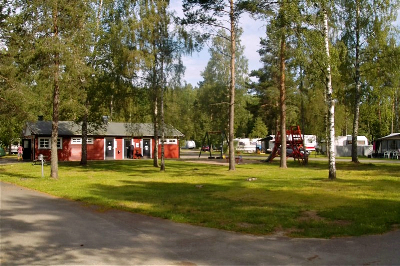 Lake Lilla Havsjön offers good swimming with jetties and a diving tower. The area is criss-crossed by signed skiing and hiking trails. The trails start and end at the holiday village. In the woods it is not unusual to see elk, deer, foxes and many species of bird, and in the autumn there are lots of mushrooms and berries. 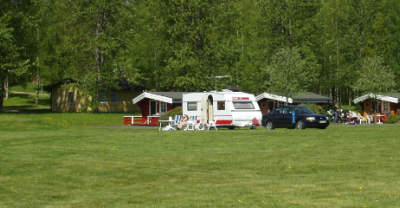 Nordic Camping Hökensås offers activities all the year round. 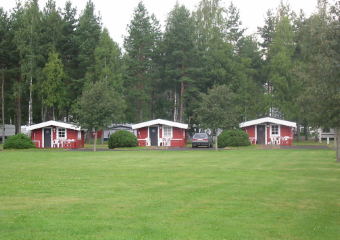 There is sauna, minigolf, boules, playgrounds and football pitch on site. The children have their own pond for rainbow trout fishing. Fishing tackle are available to hire. Yearly events include Midsummer celebrations with dancing round the maypole, and the six-day cycle race. 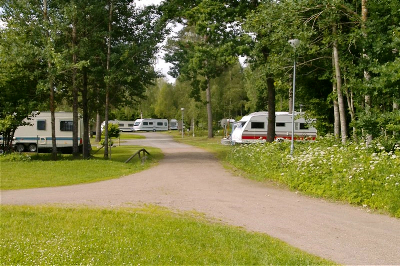 Welcome to Nordic Camping Hökensås in Västergötland! 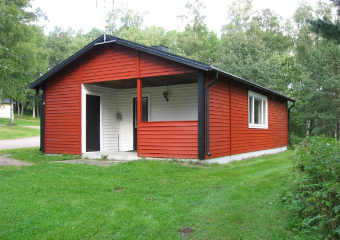 Enjoy a nice and comfortable stay in our cottages , 45-53 sq m, kitchenette, two bedrooms, living room w TV, WC & shower. Deck/patio with outdoor furniture. 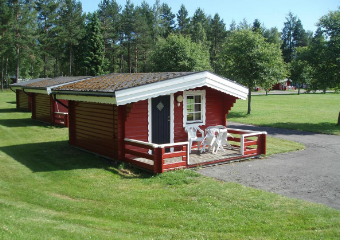 We also have 15.5 sq m cabins with one room with two bunk beds. Kitchenette with fridge. Cold water and electric heating. Patio with outdoor furniture. WC and shower in the service building at the campsite. 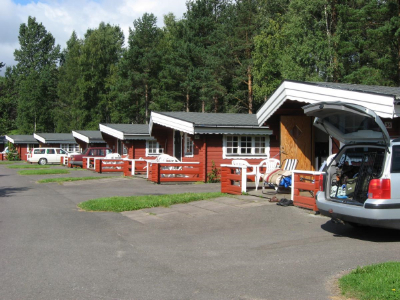 The campsite is situated in an area of pine forest and offers 130 generous pitches with natural boundaries. All the pitches have electricity. 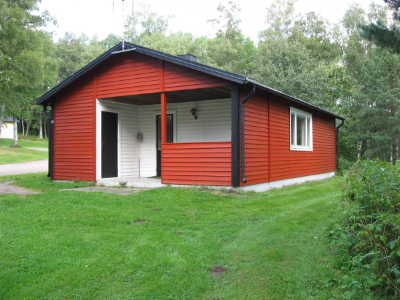 If you are looking for peace and quiet in the countryside, you have come to the right place. 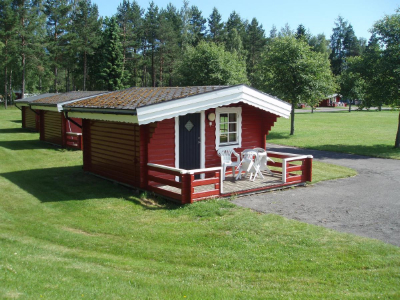 Nordic Camping Hökensås offer pleasant cottages in different categories as regards comfort and price. 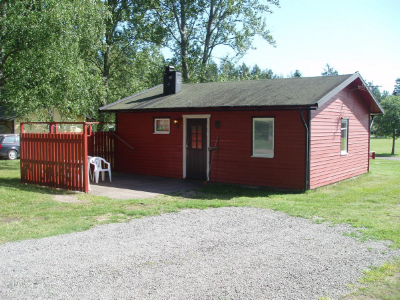 Stay nice and comfortably in fully equipped cottages or choose a more basic cabin without shower and WC. 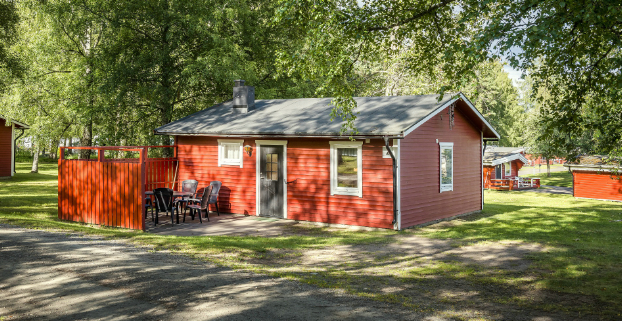 Each cottage has a private patio with garden furniture. 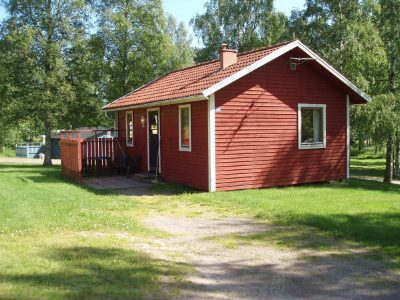 An allergy sanitized cottage and four cottages suitable for the disabled are also available. There is a newly renovated service building for guests without private shower and WC.